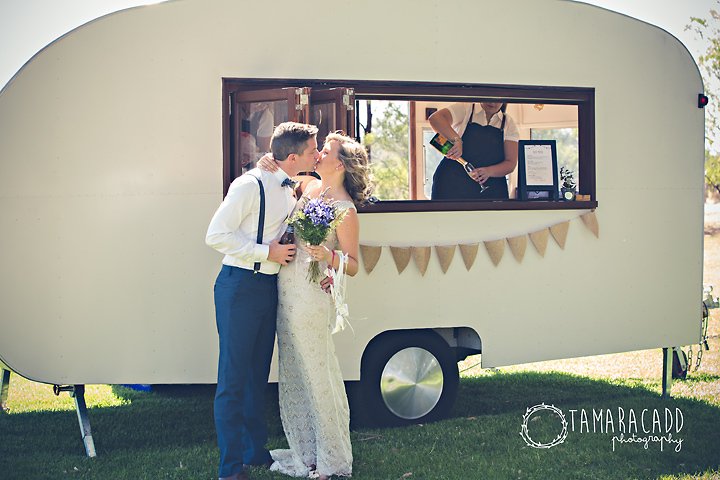 The Wandering Woodsman is a delightful and charming vintage caravan bar. 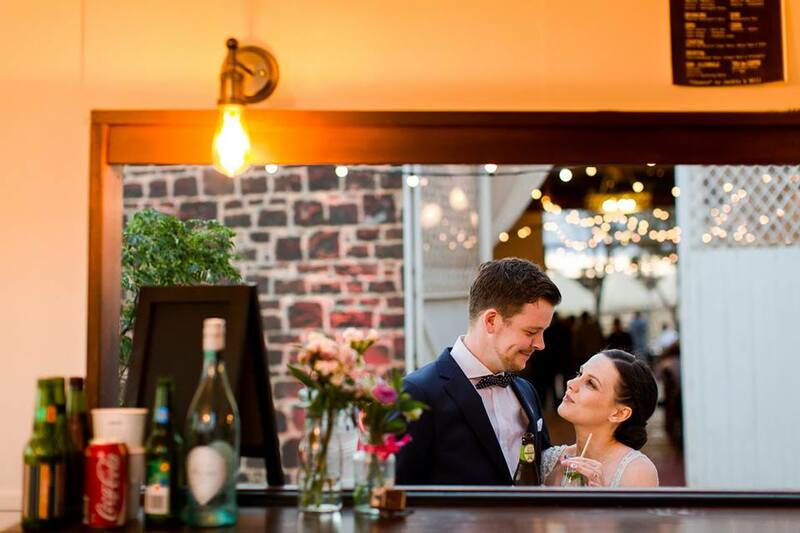 We roam around and cater for all beverage and bar needs throughout Melbourne and the greater Victorian Region. 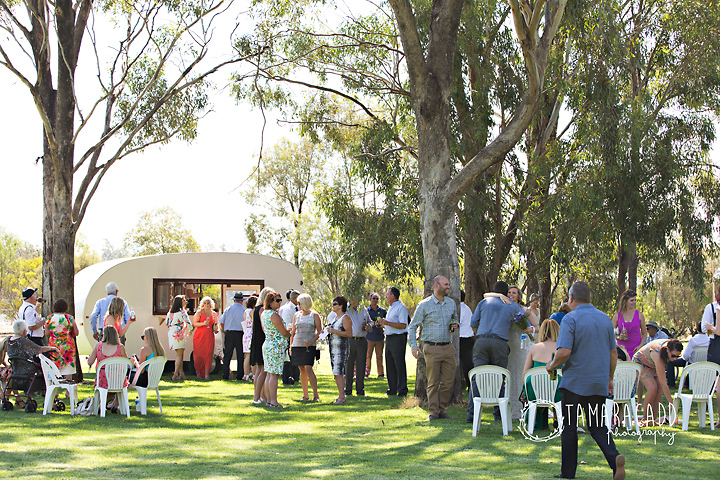 We are the perfect host for any event, this includes your wedding, engagement, proposal, high tea, birthday, hens or bucks or any other reason to celebrate! We can also assist with business functions and promotional events. When iconic Melbourne venue The Palace Theatre closed its doors, we bought everything from barware to literally the kitchen sinks! We used all the salvaged pieces we could in the transformation & renovation of the bar. 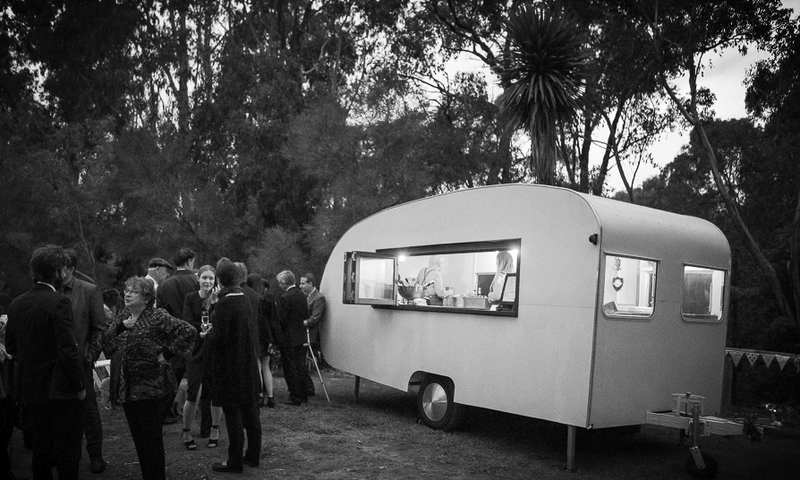 The Woodsman and crew will arrive at your event looking mighty fine and have everything in tow for a good time! 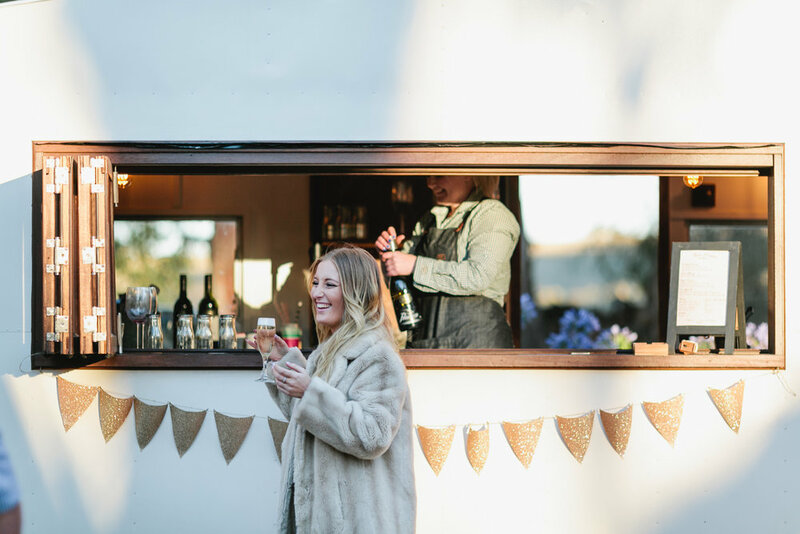 Providing the best bar service on wheels, we are able to serve hot and cold beverages, supply all glassware, fridges, ice, plus all bar equipment and utensils required for a mighty fine drink. Don't forget we have selection of lawn games available to hire, this is sure to keep your guests entertained and perfect for weddings, while you are off taking happy snaps in the countryside! What kind of beverages can you serve? 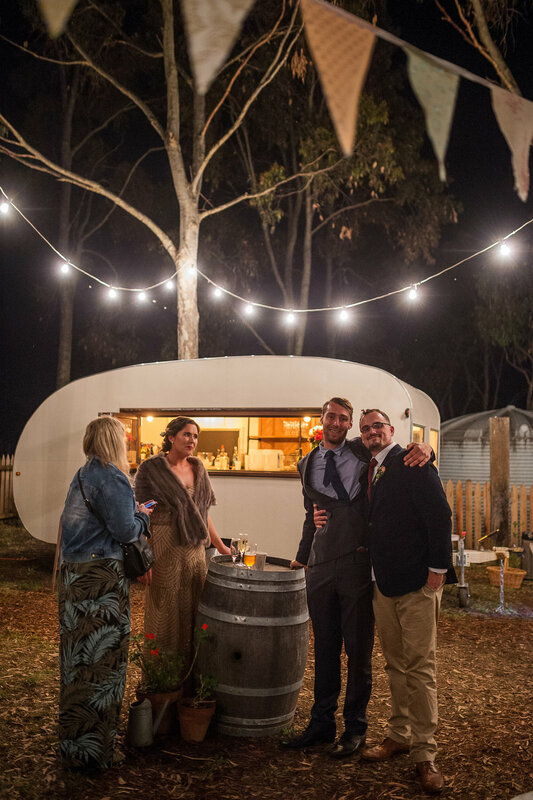 The Woodsman is outfitted to serve any selection of red or white wine, champagne, soft drinks, cocktails, beer, cider, tea and espresso coffee. Please note cider, beer and soft drinks must be served from bottles or cans. We are unable to serve beer from kegs, if this a requirement let us know. After booking The Woodsman - do I require additional liability coverage or licenses? The Woodsman holds a Public Liability Certificate, however all licenses required by your venue must be obtained by you. Events held on council properties such as parks will require a permission from your local council. We can assist in this process, please check with your venue if unsure. All staff hold a Responsible Service of Alcohol Certificate. They are also well-trained and experienced providers of customer service, friendliness and general all round awesomeness. How many bar staff are provided? When you book your event with us, we will review the total number of guests and details of your event to then ensure all guests are accommodated for without overstaffing your budget. What kind of glassware is provided? For large parties our wine glasses provided is an environmentally friendly and sustainable product by the name of "Ecology." Ecology glassware is beautifully hand crafted and safe for the environment. Our cocktails & spirits are served in tumblers. For events with a smaller headcount we can provide an eclectic collection of vintage glassware pieces, please also contact us prior to discuss. We ask your guests to reuse their glass where possible and if you are kicking on after we leave, ask us for a supply of paper cups. Will you provide the alcohol? Typically, we find most people prefer to secure the alcohol themselves (B.Y.O) - which reduces costs. However, we can provide alcohol and beverages as an additional segment of the package. Okay, but how do I know how much I need to purchase? The Woodsman's experienced event staff can walk you through selection and quantity. We are happy to provide an educated recommendation based on your event and guests. I would like to provide a themed or signature drink – can you do that? Why of course, we will even call it something fancy to match your event, just let us know and we will help create a crafty cocktail! My event is in summer – how will you keep the drinks cold? If you have a head count of over 60 people, and you don't have refrigeration options on-site, we highly recommend a cool room, especially in the hot summer months. Please ensure a proportion of the all beverages options are chilled to kick off your bar service smoothly. 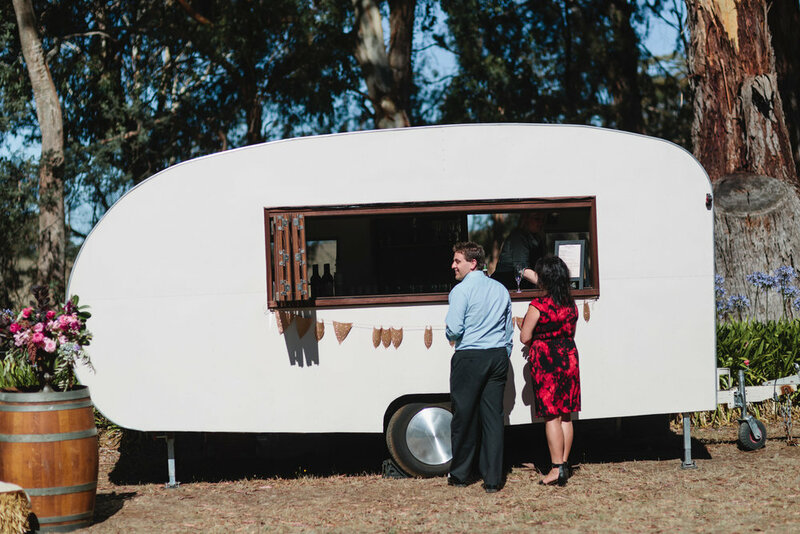 The Woodsman has two wine fridges and one bar fridge. We also provide four large Eskys which are capable of holding 100 cans each. If you have additional concerns, we are happy to assist you - please let us know! Does the caravan require electricity? Yes; typically, most locations have on site power we can easily plug into. 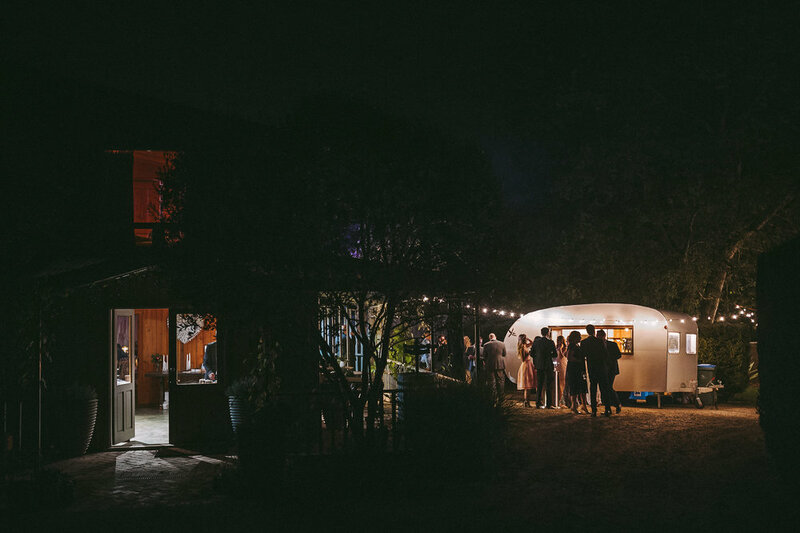 If your event is particularly remote, we are able to provide a generator at an additional cost. Do you take away the rubbish? We are unable to take away any empties or rubbish with us, as we are great Tetris players and we are masters at fitting wine glasses, Eskys, lawn games and more into the car and van for your event, we just don't have the space. We recommend you have designated areas for your guests to dispose of empty bottles to reduce your staff costs - see below! 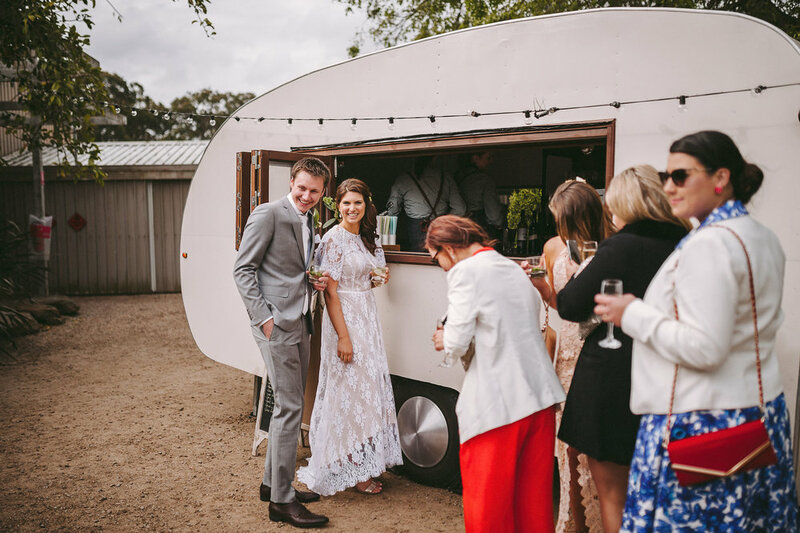 Bar service is provided from the caravan only, if you require table service an additional staff member will be added to your package price, if table service is preferred please advise us as early as possible. How long can I hire The Woodsman & the team for? We don't have any time restrictions as we try to be flexible and work to your event plans, we can stay for as little or as long as you need. How Big is The Woodsman and is there parking restrictions? The Woodsman is on the larger side and don't forget we need to be able to drive in, unhitch and then drive the car back out. If you have any concerns of accessing your preferred parking spot, please let us know as we can organise a site check. Also bear in mind sometimes on the day we may need to revise the preferred designated spot due to the access, side of the serving window, gradient of the surface and main power source. Are you able to provide styling and coordination? Why yes we can, please visit our sister company PeoniesandPonies! If interested please click here to be redirected. So your having a par-tay, Yay! How much is The Woodsman you ask? Fill out the below and we will get back to you. What type of delicious beverages would you like served? Is there power we can plug into in? Anything else we may be interested in? Go on surprise us, we would love to know more about your event! We are out wandering a lot and will be in contact as soon as we can. We respect your privacy & promise we won't bombard you! We create anything from champagne towers to cocktails so please click here for ideas. There are over 900 recipes to choose from so take your time and enjoy. We also suggest sample tasting.